An Irish government commission of enquiry into institutions responsible for cruel and inhumane treatment of children is in session. In the foyer, James X, one of those children, now a man, anxiously prepares to offer the testimony which he hopes will unshackle him from the past. As he waits, James is confronted with the fact that the commission he is about to go before is part of the self same system that made prisoners of children like him and sighting this truth prompts him to tell the story that will really, finally set him free. In the last decade the Catholic Church and State institutions in Ireland and throughout the world have been the centre of an emerging secret history. That history involves the sexual abuse and torment of tens of thousands of vulnerable children. This is the human story of one of those children who is trying to emerge from a place of darkness into the light; a light in which the human spirit is allowed to triumph into its full magnificence. 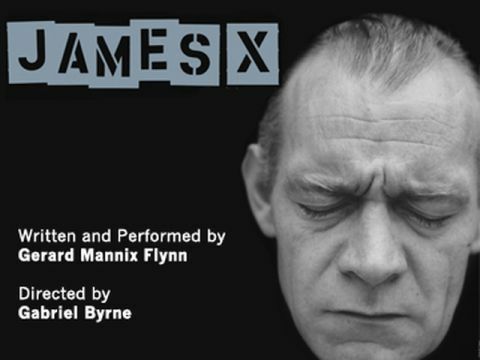 James X is a one person play. Performance time 75 minutes, no interval.